It is replaced by the Zebra 3600 Series. With a Motorola defined maximum rugged specifications, the DS3500-ER Series of full-range scanners can handle whatever comes its way. The DS3500-ER Series allows you to scan different types of barcodes across a wide range of distances. From near contact to as far as 30 feet away. Workers can also hold the trigger down to continuously scan items. 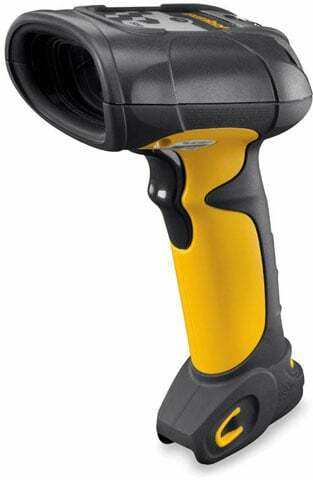 It doesn"t matter how well lit an area is, the DS3500-ER Series can read barcodes in darkness or in bright sunlight. Indoors and outdoors, you can drop it on concrete, cover it in dust or grease and continuously obtain the same reliable results. USB Kit, Long Range 2D Imager, Rugged Handheld Corded Scanner. Includes USB cable. SCANNER ONLY, Long Range 2D Imager, Rugged Handheld Corded Scanner. Does not include necessary cables. For the full kit purchase (Part# DS3508-ERAU0100ZR).